I’ll touch on some of the high points but you should really read the through the presentation in its entirety. 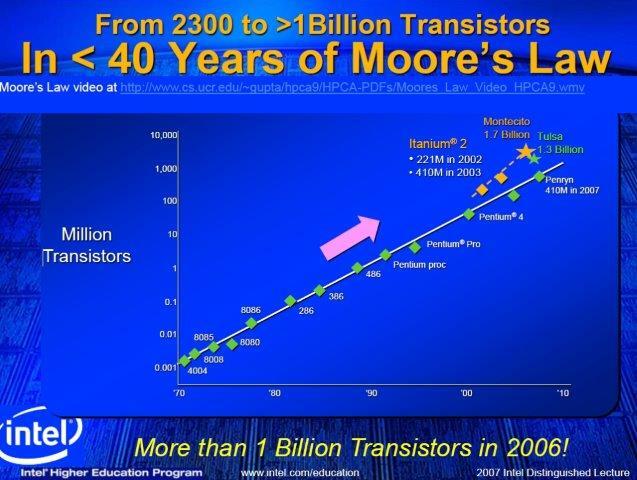 Well worth it: http://mvdirona.com/jrh/TalksAndPapers/DileepBhandarkarAmazingJourneyFromMainframesToSmartphones.pdf. 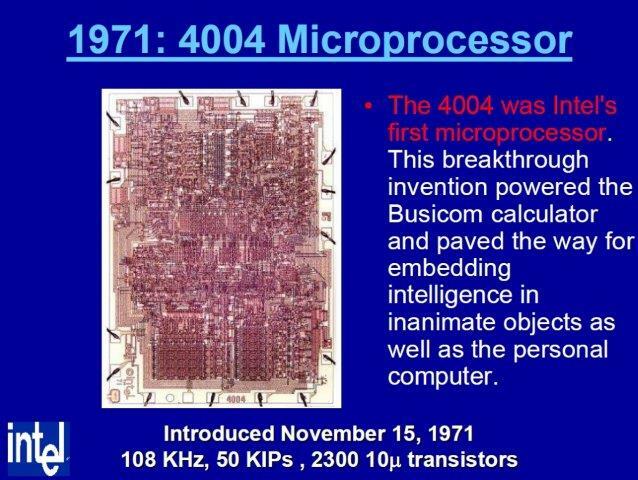 November 15, 1971, while I was still in high school, Intel released the world’s first microprocessor the 4004. 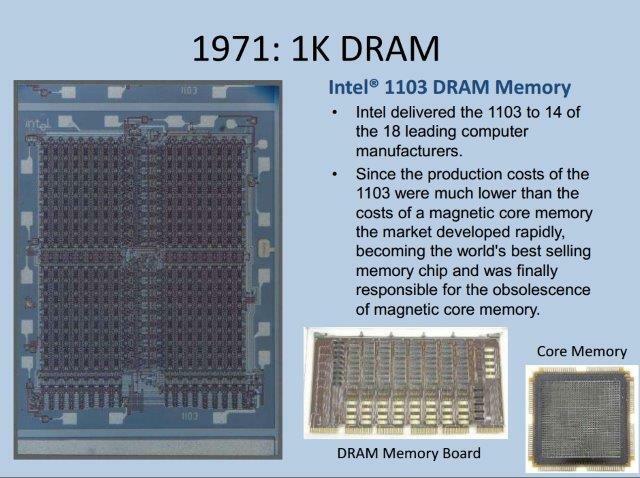 Also in 1971, Intel delivered the 1103 DRAM memory and the move from core memory to DRAM had begun. 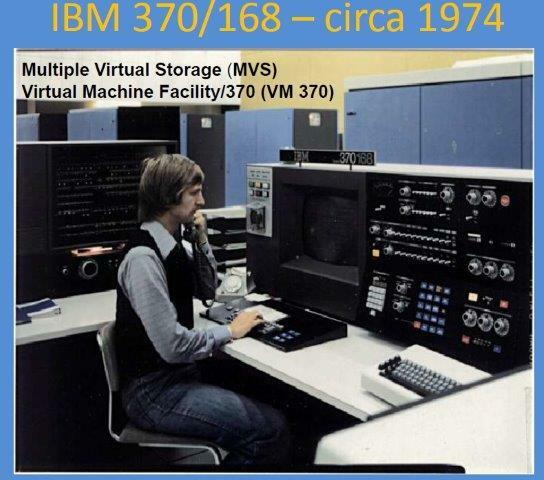 The IBM S/370 and the DEC PDP 10 were both iconic systems both of which I have used. 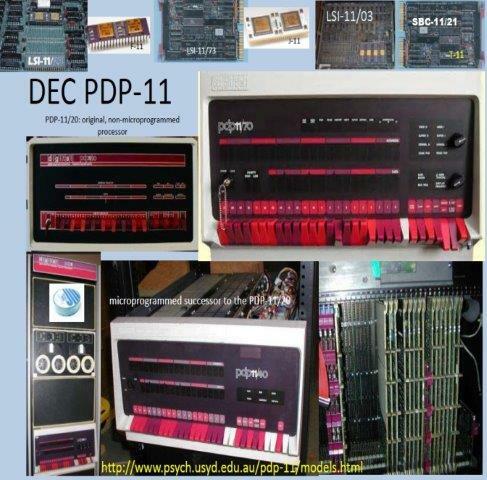 In the case of the PDP 10, that was the system I used as an intern at the National Research Council in Ottawa. In 1986 working on an Ada Compiler for IBM in Toronto, I used a S/370 Model 600J the biggest water cooled S/370 IBM ever produced. 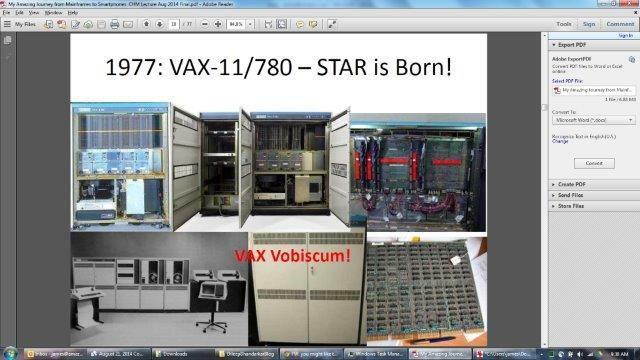 In 1977 Digital Equipment Corporation introduced the enormously successful VAX 11/780. 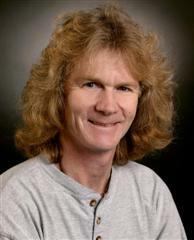 I used that system running BSD as I completed my undergraduate degree at the University of Victoria. It was actually an 11/785. 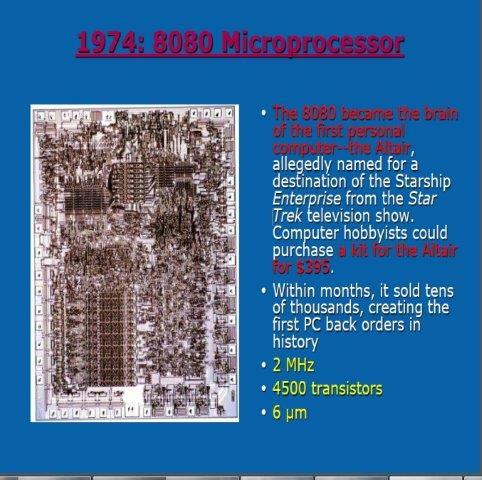 Essentially an 11/780 with a floating point unit. A correction from Dileep: The 780 was built using standard TTL SSI from TI and had a cycle time of 200ns. It included the FP780 (4 boards). The 785 was a quick release using Schottky TTL which allows us to reduce the cycle time to 133ns. Star became SuperStar. In 1979 Motorola released the 68000, one of my favorite instruction set architectures of the time. 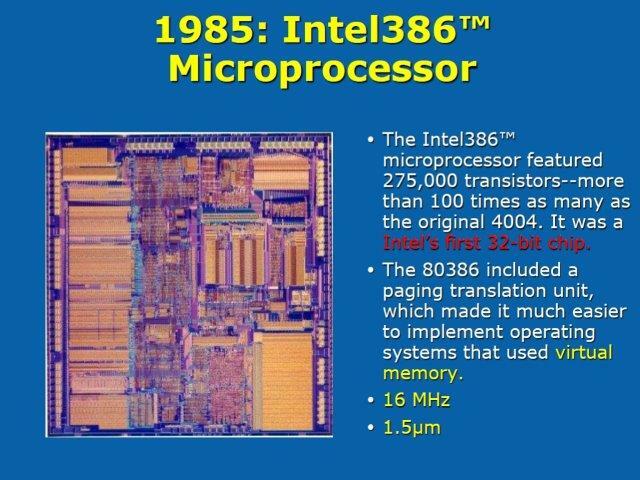 1985 marked the release of the venerable Intel 386, Intel’s first 32 bit processor initially operating at 16Mhz. 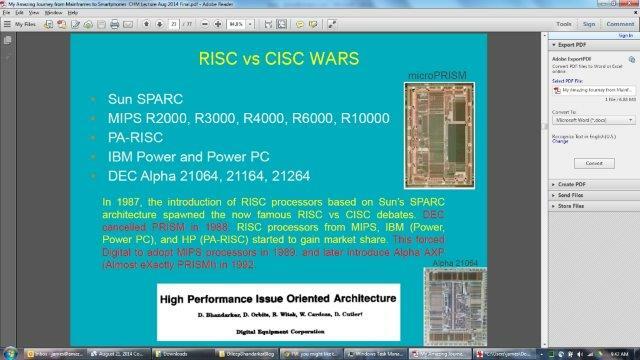 In 1987 Sun introduced the incredibly successful SPARC architecture. 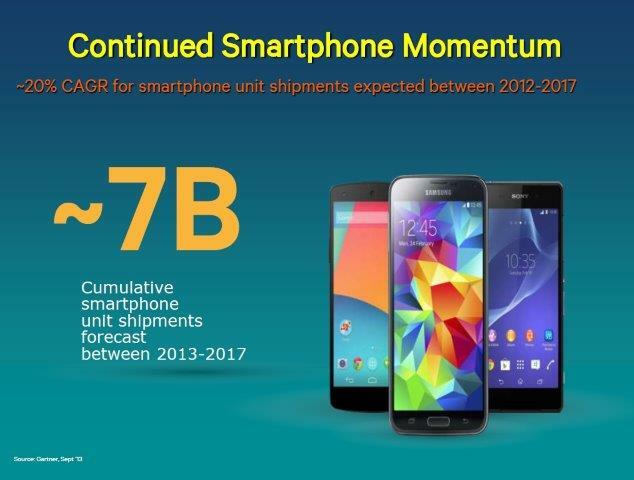 Mobile processors are now where the volume is with over 7 billion smart phones expected to ship between 2013 and 2017. It’s an excellent presentation and a super interesting slice through history. 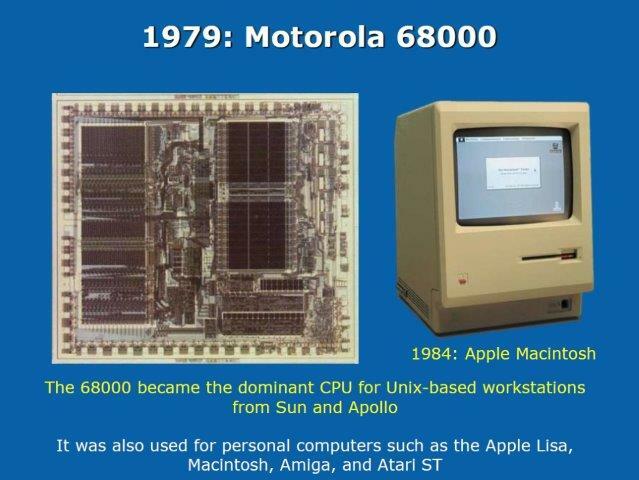 Check it out in full at: From Mainframe To SmartPhone and the video is at: http://youtu.be/7ptXpNFY3XM.